The AGC Group introduced a unique personnel database, Skill Map, in fiscal 2010. Skill Map is a database that registers employees by specialty, illuminating the various skills held by employees in respective divisions. As of the end of 2017, approximately 8,000 employees are registered in 28 technical categories and 13 sales/administrative categories, and the database is helping to promote communication and effective personnel use. 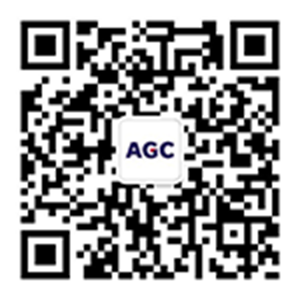 Since the Skill Map makes it possible to accurately grasp which organizations have personnel with the necessary skills, users can search for human resources, put the right people in the right places and strategically hire personnel in accordance with the Group’s growth strategy. The Group identifies talent from all over the world, regardless of nationality or gender, to cultivate global leaders who can lead the global group forward in systematic and organized way. The Group trains diverse talent at the global, national and regional levels. 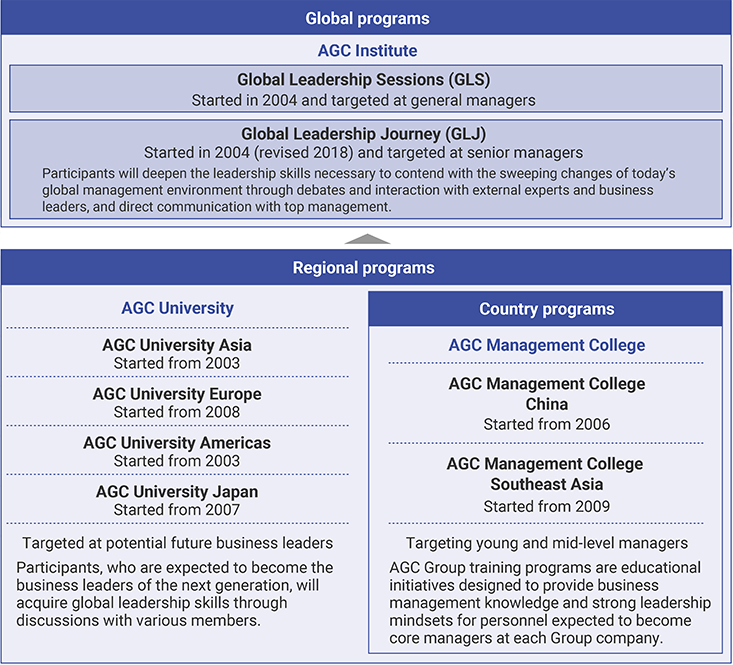 In addition, to promote the localization of business management for Group companies in each region, the Group encourages assignments and projects outside of global leaders’ home countries, as well as Group-wide training courses and on-site training, in accordance with the current status of respective businesses and regions.